A common die marriage with a couple of MS66's at the top of the census. 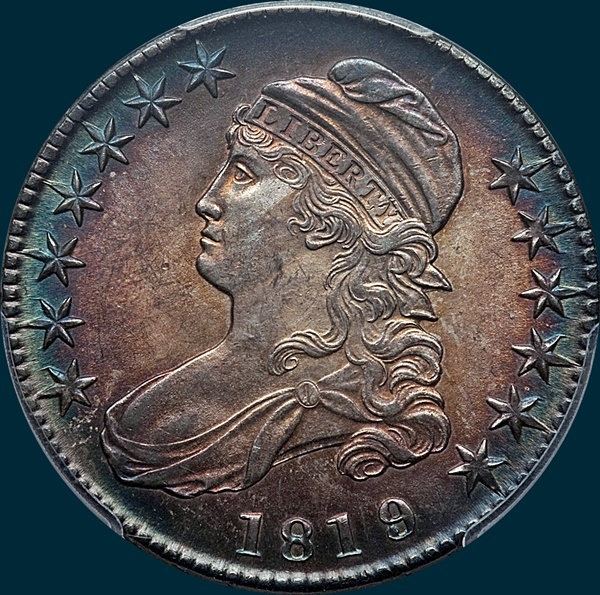 Variety Attribution: Obverse-1819 over 18, Large 9. Stars are large and close to milling. Date is 9 mm. and 19 is wider than 181. The 8 under the 9 joins the tail and loop of same. This 9 is about 1 3/4 mm. wide as compared to a scant 1 1/2 mm. for the small 9. 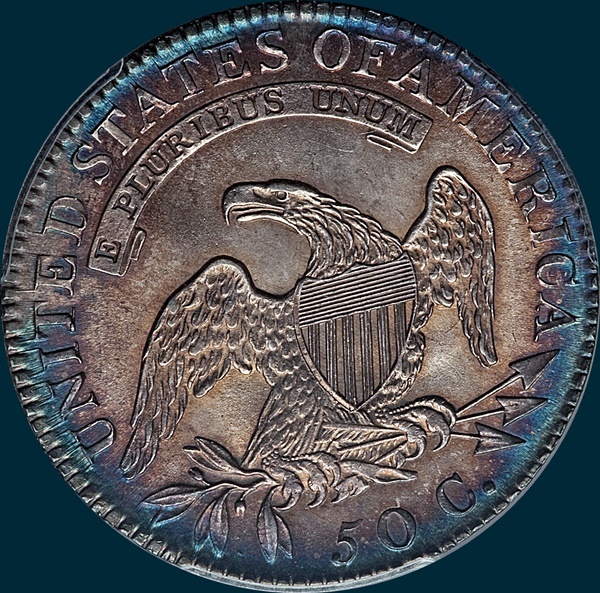 Reverse-50 C. is 1 3/4 mm. and slightly below center. Arrow to A is 3/4 mm. Space between F and A only slightly over 1/2 mm. at base. All three T's have the right half of base partly broken off. Some specimens show die cracks from each corner at left end of scroll, running down to join just above left wing. A wide space in milling centered below 0 in 50.